In 1949 after receiving treatment for shell shock in Canada, Claire's husband disappears. I have a weakness for twentieth-century wartime themed novels so dived into this one with much enthusiasm. Ms Morgan's writing is a new to me so, I'm happy to confirm I've found another author to follow after reading this absorbing tale set in peacetime between nineteen forty-nine and nineteen-fifty. Claire Mitchell's husband, Captain Alain 'Mitch' Mitchell is missing. After failing to join her and their daughter on a return flight from Canada to England, she's determined to ascertain where he is. As each day goes by, her suspicions surrounding his disappearance become heightened after military personnel search her house. Aided by Mitch's grandmother, she makes her way to France, to track down the woman she believes is with her husband. The narrative alternates between the present and the past as we get the background history before Mitch disappears and Claire's journey to find the truth. 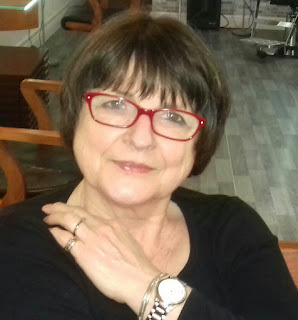 The writing flows sublimely, keeping both the past and the present connected. 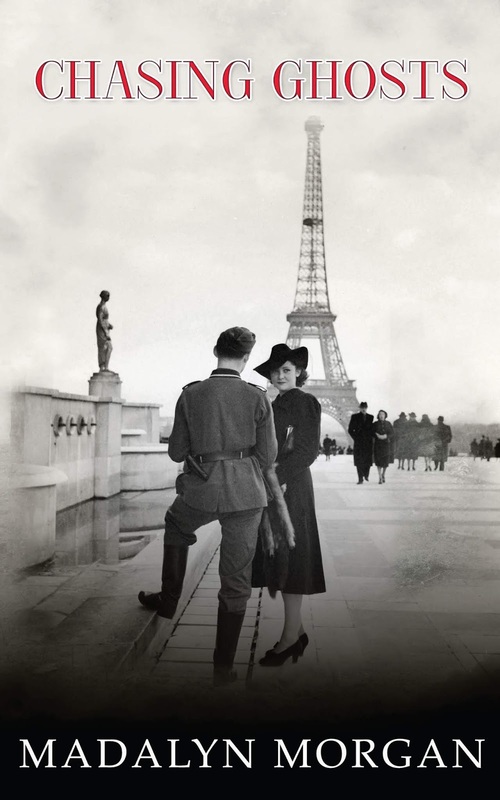 Even though the setting is after World War Two, Claire's work in occupied France is relevant to how she deals with the unique situations she's in. I appreciate how the author projected the sexual chemistry between Claire and Thomas Durand. Even before we're made aware feelings exist between them, the narrative projected their attraction right from their re-introduction. With the air of uncertainty hanging over Mitch's disappearance and not knowing if he's unfaithful to his wife, the attraction between this woman looking for her husband and her old wartime colleague is palpable. Unexpectedly, this aspect adds a compelling element to this already intriguing story. Additionally, when Claire and Mitch are finally reunited, it is clear they have a distinctive special bond, nurtured during the second world war. Although it isn't necessary to have read the novel, 'China Blue' which tells the story about their lives working as part of the resistance, Chasing Ghosts certainly whetted my appetite to learn more about this dynamic couple. 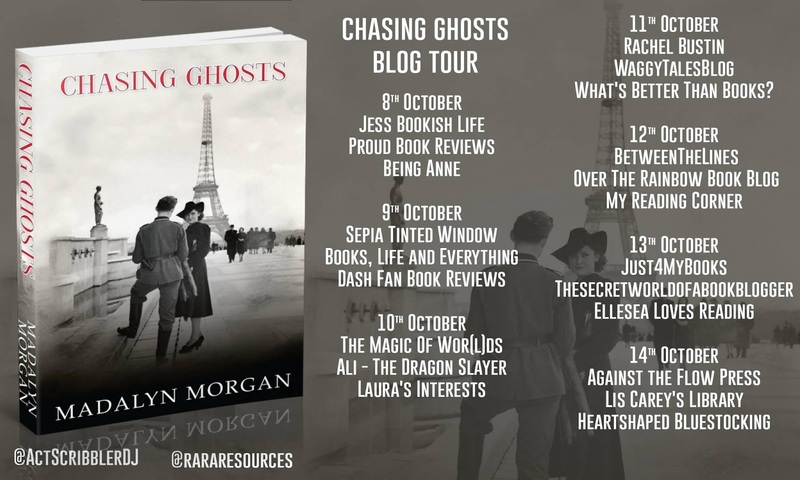 To sum up, action-packed and enjoyable Chasing Ghosts is book six in the Dudley Sisters Saga and I read this as a standalone novel.